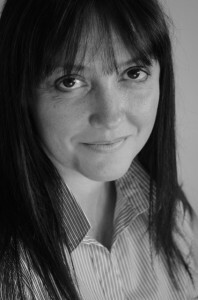 Kerry Lewis Dip.Hyp GQHP GHRreg MFHT, is a qualified and experienced clinical hypnotherapist based in Telford, she is also an NLP practitioner. She has experience and a keen interest in a vast range of issues from phobias and anxiety to smoking cessation and weight loss hypnotherapy. Kerry is registered with The General Hypnotherapy Register (GHR) which is the UK’s largest professional hypnotherapy register for practicing hypnotherapists. Her training is accredited by the General Hypnotherapy Standards Council (GHSC) and she is a validated practitioner with the GHSC. Kerry’s hypnotherapy and NLP training was undertaken through Dave Woolley of Hypnofocus. Dave has trained with Dr Richard Bandler, Robert Dilts and Dr. Michael Hall amongst other highly acclaimed practitioners. Kerry is also very fortunate to have received training in NLP with Bruce Grimley. She has a good depth of knowledge in various areas of psychotherapy and counselling. Kerry combines hypnotherapy with CBT, positive and realistic thinking, affirmations, mindfulness and meditation. This enables Kerry to provide practical tools that allow clients to take control of their issues and any challenges that life may bring. She integrates her person-centered approach with Compassion Focussed Therapy and Solutions Focussed Therapy. Kerry takes a particular interest in using clinical hypnotherapy for anxiety, low self-esteem, fears and phobias. Kerry has around 20 years of experience as a holistic therapist working in private practice and as a teacher of massage therapies. She holds an advanced DBS and her background spans NHS, private practice, local government and both private and state education. Working in both mainstream and special needs environments allows her to adapt to suit the needs of each individual. Kerry has many years experience working with profound and multiple learning disabilities (PMLD) and with the elderly, utilising relaxation and massage skills. She is also highly experienced in working closely in palliative care programmes. As well as offering Clinical Hypnotherapy and massage therapy in Telford and Wolverhampton, Kerry is educated in counselling skills and also CBT through The University of Birmingham. She uses these skills to assist clients in managing any issues and stress that everyday life brings. This combined with being a qualified Neuro Linguistic Programmer allows Kerry to create tailored solutions for the needs of the individual.